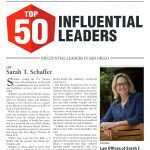 San Diego Family Attorney, Sarah T. Schaffer, Esq. 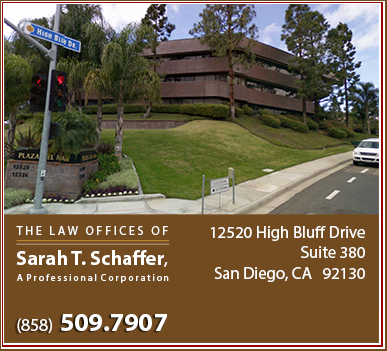 – is known and respected in San Diego for her honesty, integrity and ethics as a Family Law Attorney, Courtroom Litigator, Mediator, and Commander in the United States Marine Corps Reserves as a respected JAG officer. * You have read and agree to the terms of the Legal Disclaimer any time you send an email to our firm.